Raising children with special needs is hard. Just getting them to school and doctors appointments can be a struggle. Depending on the disability, kids can have a very negative experience fitting into the structures or routines of regular church attendance. Even when congregations make an effort to be inclusive, the barriers are simply too much. I’m blown away by a recent blog post from Key Ministry on this topic. Dr. Grcevich shares the full results. That is an article you should read and hand out among your Sunday School teachers. 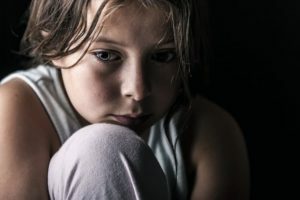 The study found that the children most likely to be excluded from church are those with autism spectrum disorders and common mental health conditions – anxiety, depression, Oppositional Defiant Disorder, Conduct Disorder and ADHD. This study proves what every special needs parent has long known – the world of church attendance is not a welcoming place for many children. No matter what the leadership is saying, these families are voting with their attendance. Can churches change? Can children’s ministry be structured in a way that welcomes every child? That’s a question we all need to be asking this weekend. Can churches change….I will let you know. Awesome! I pray that many will. As a grandmother of special needs grandkids I have learned not to “expect” everyone is at the same level. When we read scriptures in Sunday school I have learned to realize that not all can read or comprehend. It is so important that we as parents/teachers look at each child as individual and truly pray for the leading of God. Love is the greatest teaching tool I choose to use. When a child feels accepted and not left out our attendance will grow. Yes churches can change but it starts in the childrens ministry first. Amen! Thanks for sharing that insight – that’s the kind of attitude that will make a real difference in the lives of real kids. Tony Kummer (Editor) reviewed & updated this page on : October 27, 2018 at 9:13 am. All our content is peer reviewed by our readers, simply leave a comment on any post suggest an update.